Enter the world of Game of Thrones with this collectible desktop stationery set inspired by the hit HBO original series. 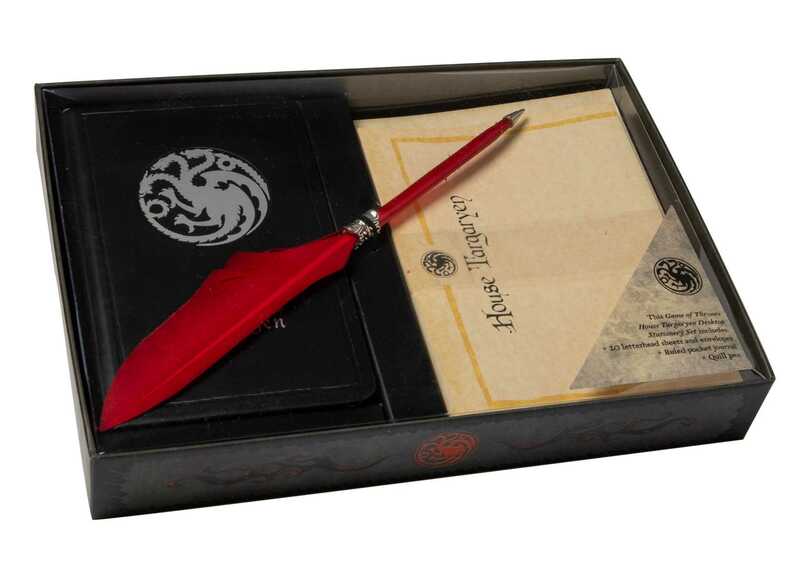 Housed in a specially made display box, this one-of-a-kind Targaryen-themed stationery set contains a 128-page pocket journal, twenty sheets of letterhead paper and envelopes—all with the iconic Targaryen House sigil—as well as a quill pen for all your writing needs. Taking fans further into the land of Westeros, this spectacular stationery set is the perfect way to celebrate HBO's Game of Thrones.